Kanu is laying down its strategies for the next elections and they were in talks with Opposition leader Raila Odinga, Wiper leader Kalonzo Musyoka, Amani National Congress leader Musalia Mudavadi and many other political leaders to cement a workable coalition. The Kenya African National Union party members from the North Rift are also lobbying for the election of Baringo Senator Gideon Moi to succeed President Uhuru Kenyatta in 2022. The leaders drawn from Baringo, Elgeyo-Marakwet, Nandi and Uasin Gishu counties have affirmed their support for Mr Moi during a meeting in Iten, Elgeyo-Marakwet. Mr Moi is yet to publicly declare his interest in the presidency. Nyeri Kanu branch has cautioned William Ruto against undermining Unity Kenyatta by downplaying the handshake between with Raila Odinga. The branch chairman Karanjawa Njeru, said if Ruto is uncomfortable with the marriage between Uhuru and Raila, he should tender his resignation to pave way for Kenyans to take the route chosen by the head of state. Njeru said the branch supports Baringo senator Gideon Moi for president in 2022. The meeting was organised to strategise on how to strengthen Mr Moi’s candidacy in the region. Kanu Rift Valley coordinator Paul Kibet said party members and delegates want Mr Moi to contest the top seat. “We have been urged by Kanu members across the country to start putting in place measures to prepare our party leader for the highest seat on land,” Mr Kibet said during the meeting at Cheptebo AIC Conference Centre. They said Mr Moi’s record in the country’s politics makes him the most suitable person to succeed Mr Kenyatta. “Kanu committed no mistake during President Daniel arap Moi’s 24-year rule and that is why the party should take power. Gideon has a clean record unlike other aspirants who have been linked to corruption,” Mr Kibet said. Mr Stanley Kipkechem, a Kanu official from Baringo, asked Jubilee leaders to stop vilifying the party chairman. “They have been fighting Gideon whenever he visits different regions. Let them know that Gideon does not play in their league,” Mr Kipkechem said. Mr Julius Kipsoi from Elgeyo-Marakwet asked President Kenyatta to back Mr Moi “because he has supported you before”. “The President should return the favour by supporting Gideon. We shall be reaching out to Kenyans in other counties soon,” Mr Kipsoi said. Mr Kibet said one of the objectives of the meeting was to develop a plan for recruitment of more members. “Apart from grassroots recruitment, we are teaching some of our members how to monitor the elections,” he said. 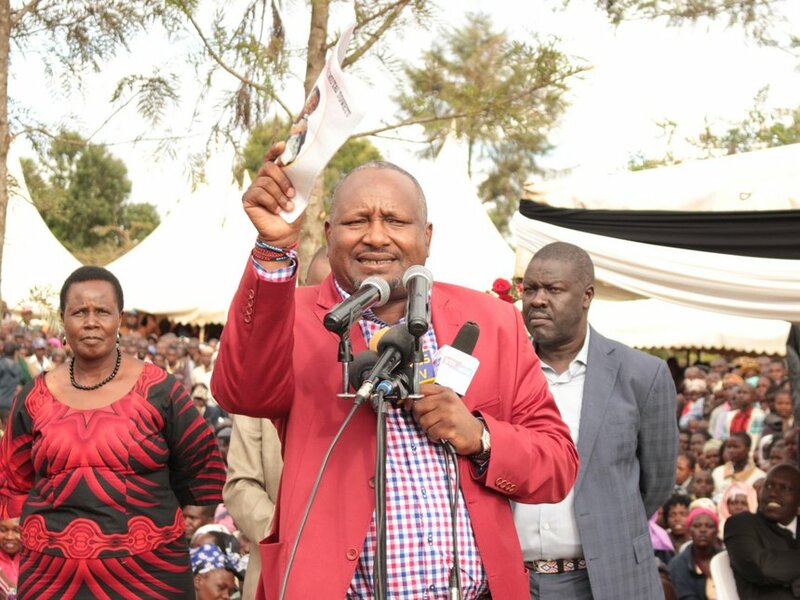 Tiaty MP William Kamket, a close ally of Senator Moi, has in the past insisted that Kanu will field a presidential candidate in 2022. The supremacy battles between Senator Moi and Deputy President William Ruto intensify as efforts by elders to reconcile the two seem to have hit a snag. “We have tried our best but attempts to bring them together have borne no fruit. They do not seem to value the importance of our unity call,” Mr John Seii, the chairperson of Myoot Council of Elders, said. Kanu Secretary-General Nick Salat has downplayed such efforts, saying that the country has more important matters to deal with. He said political parties have different ideologies and approaches to governance. Should Sterling have owned up over bizarre penalty?